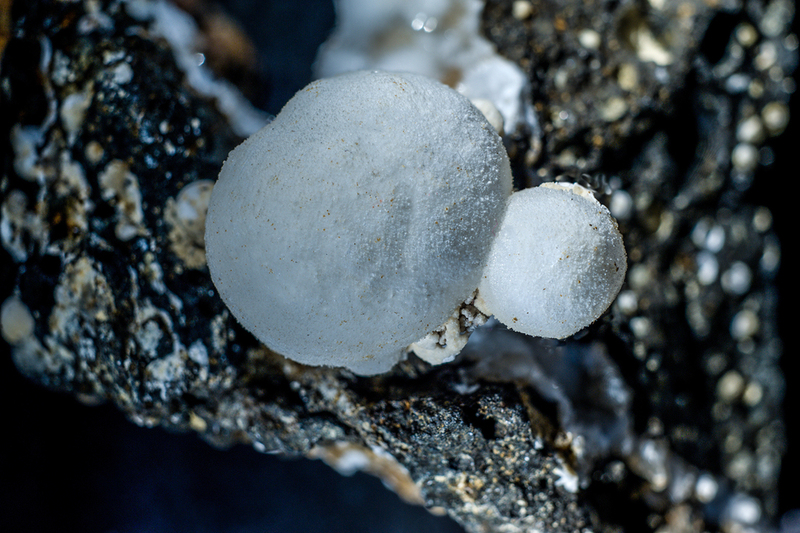 Tetranatrolite: Mineral information, data and localities. For its tetragonal symmetry and relation to Natrolite. 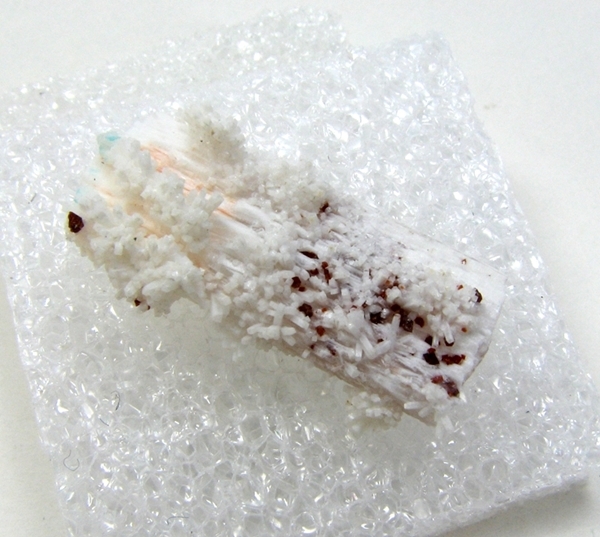 Formerly in Zeolite Group, Natrolite Subgroup. The compositions of and structural relationships between Gonnardite and tetranatrolite remain controversial (Artioli and Galli 1999; Evans et al. 2000; Ross et al 1992; Lee et al. 2006; Seryotkin & Bakakin, 2007). Tetranatrolite was discredited in 1999 (but apparently without actually working on the type specimen or on any positively identified tetranatrolite itself). Tetranatrolite was originally reported from Poudrette quarry (Demix quarry; Uni-Mix quarry; Desourdy quarry), Mont Saint-Hilaire, Rouville Co., Québec, Canada. Chen, T.T., Chao, G.Y. (1980), Tetranatrolite from Mont St-Hilaire, Quebec. Canadian Mineralogist: 18: 77-84. Chao, G.Y. (1980) Paranatrolite a new zeolite from Mont St-Hilaire, Quebec. Canadian Mineralogist: 18: 85-88. Artioli, G. and Galli, E. (1999) Gonnardite: Re-examination of holotype material and discreditation of tetranatrolite. American Mineralogist: 84: 1445-1450. Evans, H.T., Konnert, J.A., and Ross, M. (2000) The crystal structure of tetranatrolite from Mont Saint-Hilaire, Quebec, and its chemical and structural relationship to paranatrolite and gonnardite. American Mineralogist: 85: 1808-1815. Lee, Y., Hriljac, J.A., and Vogt, T. (2005b) Variable-temperature structural studies of tetranatrolite from Mt. St. Hilaire: Synchrotron X-ray powder diffraction and Rietveld analysis. American Mineralogist: 90: 247-251. Seryotkin, Yu,V. & Bakakin, V.V. (2007): The reversibility of the paranatrolite-tetranatrolite transformation. European Journal of Mineralogy, 19, 593-598.